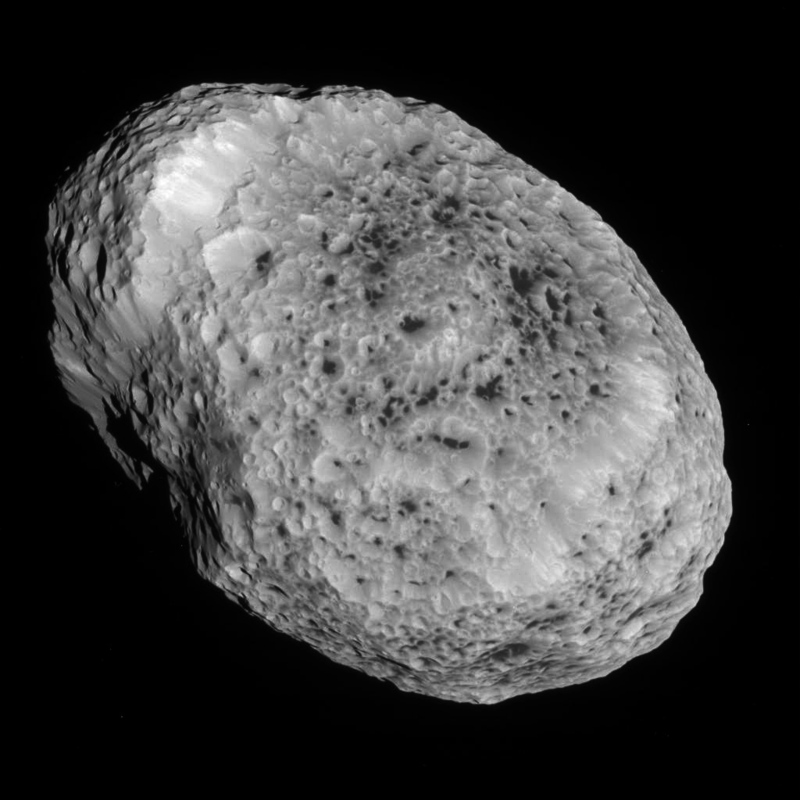 This coming Sunday, May 31, the Cassini spacecraft will perform its last close pass of Hyperion, Saturn’s curiously spongelike moon. 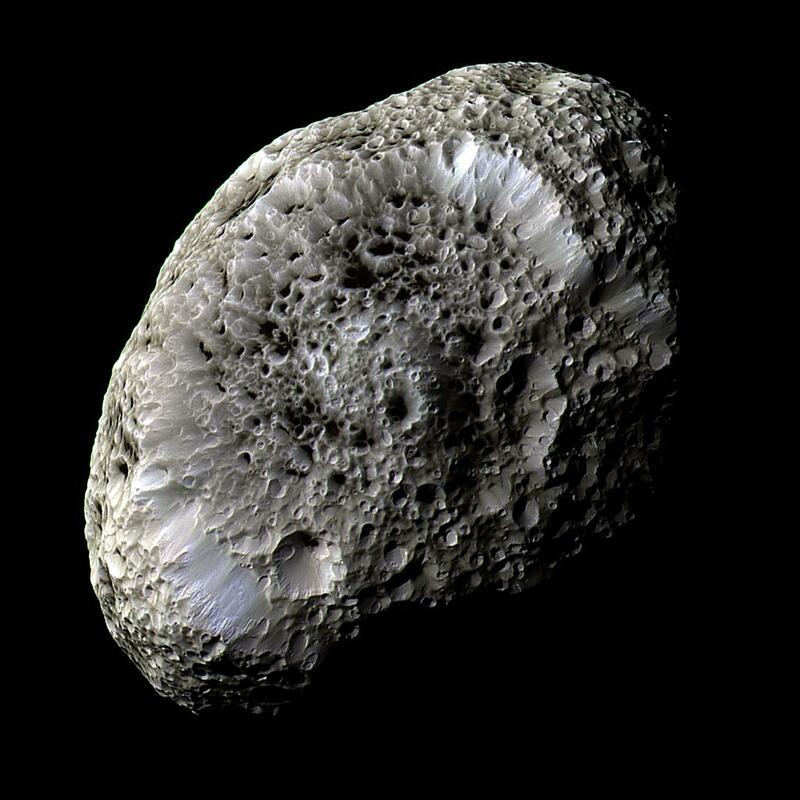 At approximately 9:36 a.m. EDT (13:36 UTC) it will zip past Hyperion at a distance of about 21,000 miles (34,000 km) – which may sound like a lot but but it’s even closer (by 17,500 miles/28,160 km) than it was when the image above was acquired. 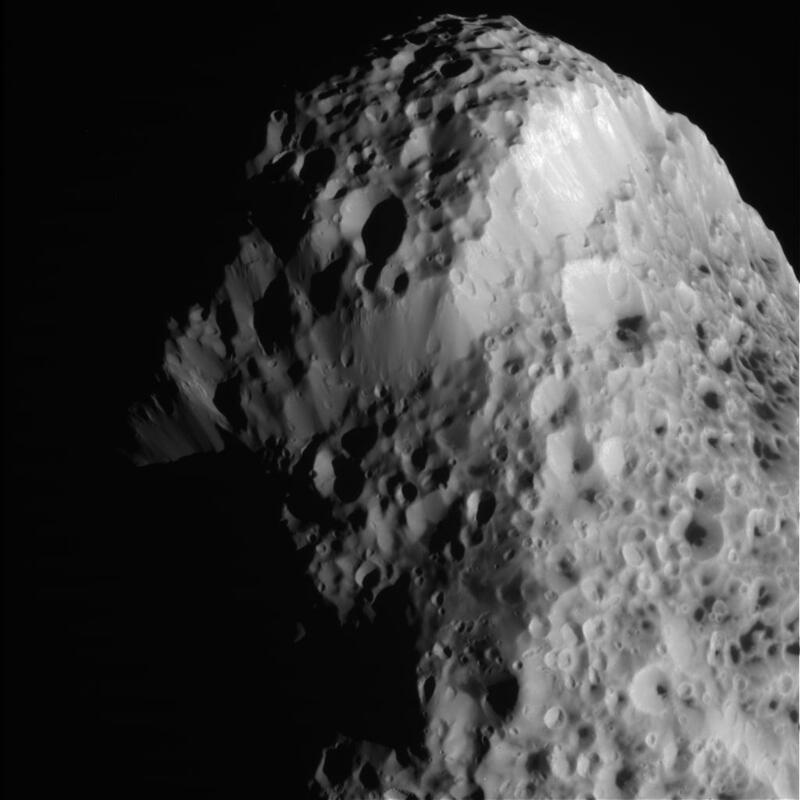 Cassini will not come that close to Hyperion or make any flybys of it at all for the remainder of its mission, which will come to an end when it dives down into Saturn’s atmosphere in September 2017. 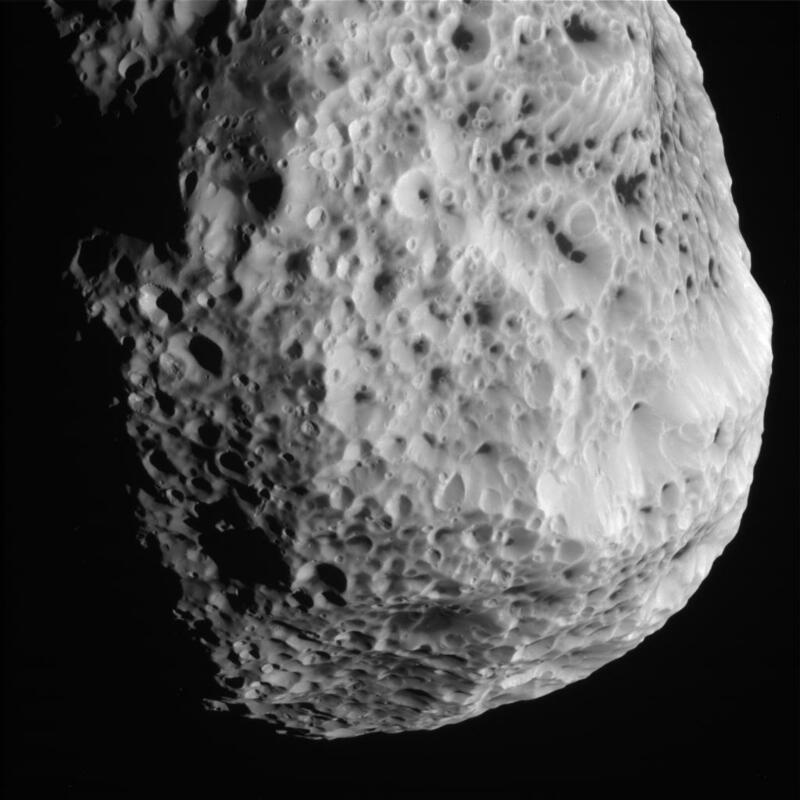 See more raw images (while they’re still in the lineup) on the Cassini mission site here. All images credit NASA/JPL-Caltech/Space Science Institute. Previous Post What Do You Think Of This Planet Earth Flag? 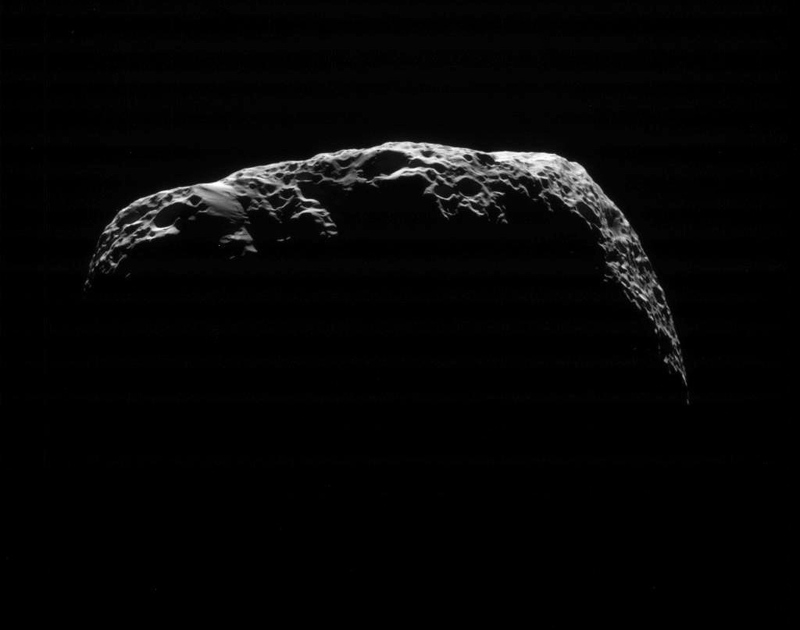 Looks like a giant space loofah! Reblogged this on Every Knowledge Matters.